Hi guys, welcome to another blog from video company Durban. In the last blog we updated you as to what GCV Productions has been up to. We have been busy in JHB filming videos as well as Durban. The next couple of blogs we will update you guys. Video number 2 was a short video representing finance department wanting to display their upgrade software that makes working with finances and suppliers more efficient and productive. A video had been created using animation but this video belonged to another company. We were to use same video but swap out the animation with actual footage of the staff. 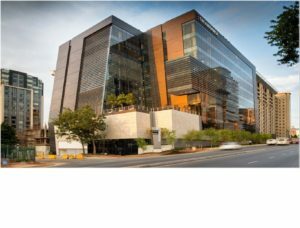 Footage was filmed at the business Head Office in Sandton. existing voice and to include a locally recorded voice over that will include the business name change. Time was tight to get the video but worked in our favour was the structure of the video was in place because we were copying an existing video and therefore fairly simple to edit. Above is the location from where we filmed the video. Hi everyone, welcome to another blog. What has Durban’s best video company Durban been up to. It has been a busy 3 months with quite a few videos being produced. I will list the links below. GCV was in JHB producing videos for McDonald’s. Some videos are still being produced so should hopefully be done soon. video 1: A team of 4 at Boxer requested their project be made into a video. 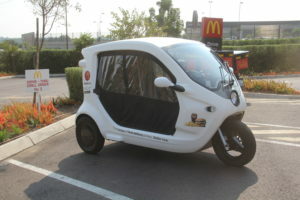 McDonald’s is looking at petrol free delivery vehicles. Have a look at the video link for what we were able to come up with. 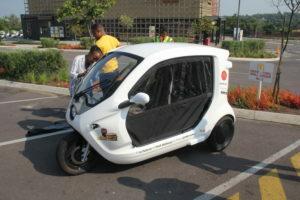 Below are pics taken from the video shoot at Kyalami McDonald’s in Gauteng. The delivery vehicle is a trike, runs on battery, no fuel, no exhaust fumes and very very quiet on the road. Filming took a few hours with pics on a canon 60D, action movement filmed on the DJI osmo and a sony nx3 for the customer interview. We hope you enjoyed the video above. The video went on to win best presentation. Well done Anesa and her team. The vehicle you will be seeing on the roads soon delivery your ymmy Mcdonalds order. Hi guys, welcome to another great Durban video production blog. Lets talk about matching camera settings for filming a project. What goes into picture settings? Often video projects will require more than 1 camera to cover the event. What you want is cameras all recording a similar image in screen size, colour and attributes. video format. You want all cameras to be filling the same amount of screen, in other words make sure all setting match eg HD or 4K. Set your cameras to HD 1o80i or 1080p. Interlace vs Progressive. ISO if possible film with a low ISO and avoid automatic settings. ND filter. Check ND filters are matching. What settings above can be adjusted in the edit? White Balance can be adjusted in Colour Balance effect. Reds or Blues can be added to a video image. But please be careful that the extremes are not too much. ISO cannot be fixed in the edit. Grain in your visual is not going anywhere. Please check ISO settings befor efilming. the cameras below all have different looking visuals. The cameras can blend in to look very similar if a bit of work is done in the edit. The DJI has a flat sharp image, same as drone looking. Very clear. No focus issues. Hi all, welcome to another blog from the no 1 Video company Durban, we talking to students going out into the video or film industry. A question I have looked at very carefully is…was it worth studying video, is someone at an advantage with 3 years of film school behind them? Personally I have never been asked to provide a CV except to lecture at DUT and Damelin. 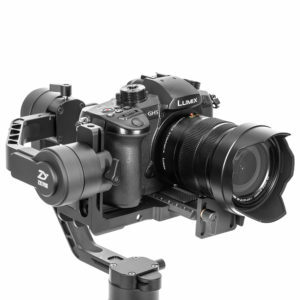 How do I differ from the video guy that buys a nice camera and calls himself a cameraman? I did learn a lot at DUT Video Technology but I do believe a youngster can learn just as much assisting at a video company or a cameraman. Video is practical, all the theory cannot get you ready for the shoot that happens live or a wedding that you have one shot at getting right. Studying video / film / TV gives the student good exposure to the different aspects of production. Careers are created from writing scripts, looking for talent, recording sound, editing and video marketing. Its not all about filming and editing. Imagine the career of a Focus Puller, his job is to adjust the focus of a camera during filming…that’s it. But it is a very important job because if it is wrong you cannot fix it in the edit. Focus and over exposure are generally two things you cant fix in the edit. Personally I don’t believe video needs 3 or 4 years of study. Get good experience working in the industry assisting the cameraman or editor or location manager. Don’t believe if someone tells you you must study or get some sort of diploma or certificate. You can learn so much involving yourself in the work or a company of what it is you want to do. Please do not hesitate to contact me should you have any queries regarding video. Hi guys, welcome to another blog from the no 1 video company Durban. Today lets talk about making movies on your phone. “Can I make a movie on my phone?” The answer is Yes. But remember the most important thing when making a movie is the story. You can have the best movie equipment in the world but it wont matter if your story is flat. I have seen movies shot on very expensive video gear but the acting was so poor I could not carry on watching. So please bear that in mind. Lets say you have a good story. 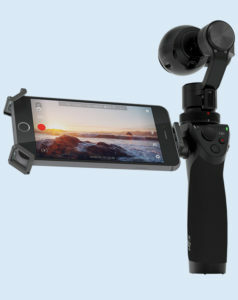 Now you want to film using your phone. You would have to really know how to use your phone well to use it for filming. There will be no way you can record good sound. Cell phones can record sharp HD or 4 K images but sound recording is very poor. Recording sound would have to be done separately. No I would also say other equipment will be needed for the phone. Keeping the phone steady will be important. A small tripod can be used or a gimbal. Phone footage wont allow for any grading in the edit, colours will look washed out with very little dynamic range. GCV Productions is a professional video production company. 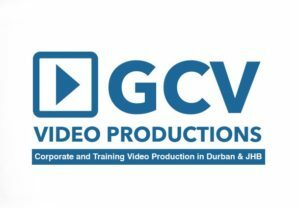 Author GCV ProductionsPosted on February 26, 2019 Tags corporate video, gcv productions, video production, video production durbanLeave a comment on Video company Durban – Can I shoot a movie on my phone? I noticed views on You Tube are very high. Excuse the quality but it was filmed in 1999 on SVHS cameras. So lets now chat about the production. First day of filming was a Saturday morning 7 am. Andrew Mills and Brad Pandy got their uniforms and equipment ready at Pinetown SAPS. There is a shot of them in the video with voice over from Andrew explaining that there is nothing they wear that makes them stand out from ordinary police officers. To be honest I cannot remember too much after that, I do watch the video to recall what happened. We had a brilliant time filming call outs in Pinetown and surrounding areas…amazing memories. What happens a lot with video is quite often tings that seem interesting to the police officers may not be interesting on camera. That’s just the way things go. Some action shots were done specifically for the camera….meaning if the camera wasn’t there the guys would not have responded to the incident. I think the production took roughly 2 weeks for filming to be complete. Interviews were done last. I viewed the footage and designed the questions around the footage. Interviews were done at SAPS Pinetown and Lahee Park in Pinetown. Hi guys, welcome to another blog from the best video production company Durban. Today lets talk careers in video. My focus will be in Kzn. I will also talk about my own experience…you do know every experience is different. I finished my studies at DUT Natal in the year 1999. Below is a project I worked on in my final year at Video Technology. I have pulled the video off Youtube, please watch and let me know what you think. It was great fun working on it. It was filmed over a period of about 6 weeks. 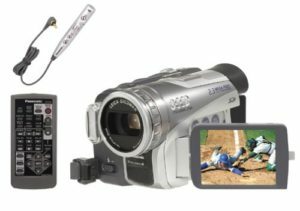 How it exactly came about….my brother was a police reservist and I told him I wanted to film a reservist video for my final production at Video Technology. He told me to call ‘Andrew Mills’, Andrew at the time was also a reservist with Pinetown SAP . I called Andrew and got a very enthusiastic “Yes, lets do this” As a student I didnt expect such an enthusiastic response. We were normally told no or to call back another time so I was amazed this was where we were at. To start we had a meeting where I told Andrew exactly what it was I was looking at making and how we shoud have the final video. Andrew, in return, gave me a few videos to watch from footage they had filmed over the years. In part 2 I will talk about the production and the involvement with the SAPS Pinetown to get the production done. Andrew and any individuals taking part in the production needed to sign Release forms which allowed me to film them and use the footage for any purposes to promote the video. I in turn needed to get permission from Pinetown SAPS to film on their property and in the police cells if need be. Hi everyone, welcome to another blog from the no 1 video company Durban. Today I would like to talk about 4 K vs H D, how has the progression been in the year 2019? Netflix suggests bandwidth of between 15 mbs to 25 mbs to support 4K broadcast. There isn’t many homes with that amount of bandwidth are out there. And that also means not having any other devices using the bandwidth. This means the 4 K resolution is maybe too high for South African viewers right now in 2019. Hi guys, welcome to video production company Durban. 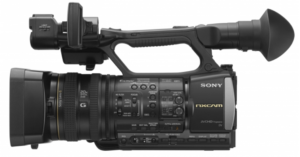 In part 1 we spoke about video cameras progression in the last 20 years. We ended in part 1 with the Panasonic 3CCD . The next camera to follow was the Sony PD170. 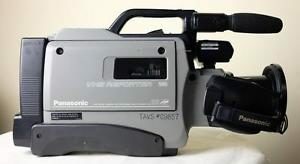 This was an awesome camera. This was the move from 4:3 to 16:9 screen ratio. Still the mini DV cassette was used. If ever there was a workhorse this was the camera. The Sony PD 170 was tough! It was an awesome camera to have and it got the job done. 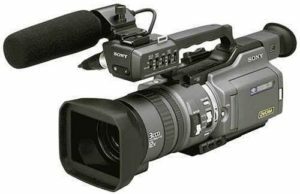 Next on the list for GCV Productions was the Sony Z5. Here was the slow change to card format and HDV. 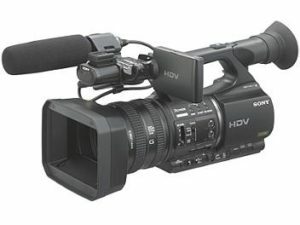 HDV stood for High Definition Video. 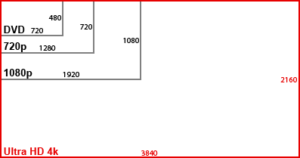 The dimensions were 1440 x 1080. HD is 1920 x 1080. The Sony Z5 was tape based but there was the option to attach a card reader on the back. The cards were an awesome change from the tapes as they could be used over and over again. The picture was also clearer from the card compared to the tape. The Sony Z5 was great. I recently sold the camera so it still has a place in the market today and like the Sony PD 170 it was a great workhorse. I loved the quality from the Z5 , was an awesome camera. Last but certainly not least is the Sony NX3, a lovely camera in HD and card only. By now the DV cassette is long gone. Card is the only way forward with the NX3. The camera looks identical to the Sony Z5 but really the only difference is it shoots in HD unlike the Z5 which is HDV. Today we are still using this camera, awesome piece of recording machinery. I have been very happy with it for the last year now and hopefully many more years to come.